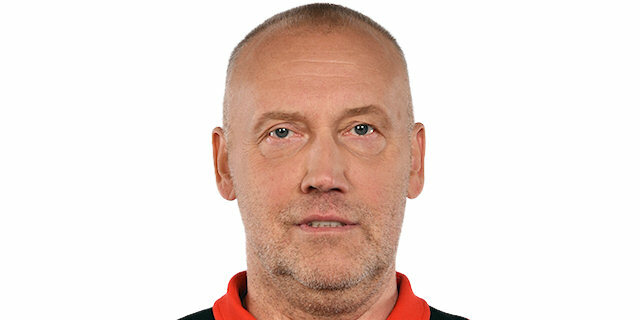 Coach-Player Gala BC Baku (2002-06)…Head Coach Ural Great Perm (2006-January'07)…Head Coach Sakalai Vilnius (January'07-December'07)…Head Coach Slask Wroclaw (December'07-08)…Head Coach Lietuvos rytas Vilnius (December'08-2010)...Head Coach VEF Riga (2010-February'11)...Head Coach BC Khimki Moscow region (March'11-2016)...Head Coach Pallacanestro Cantu (2016-November'16)...Head Coach Lietuvos rytas Vilnius (February'17-2018)...Head Coach BC Khimki Moscow region (January'19). won the 2009 Eurocup with Lietuvos rytas Vilnius…won the 2012 and 2015 Eurocup with BC Khimki Moscow region...won the 2002-03, 2003-04, 2004-05 and 2005-06 Azerbaijan National Championship with Gala BC Baku…won the 2008-09 and 2009-10 Lithuanian National Championship with Lietuvos rytas Vilnius…won the 2009 and 2010 Lithuanian National Cup with Lietuvos rytas Vilnius…won the 2009 Baltic League with Lietuvos rytas Vilnius…won the 2011 VTB League with BC Khimki Moscow region...won the silver medal at the 2005 European U-20 Championship. Head Coach Azerbaijan National Team (2002, 2006)…Head Coach Lithuanian U-20 National Team…Assistant Coach Lithuanian National Team.